Before sunrise on Thursday morning (April 12), a wreck involving an 18-wheeler and several other vehicles caused the southbound side of I-35W to shut down. One person was pronounced dead at the scene, and six other people were treated for minor injuries and released. Traffic backed up for miles during the morning rush hour. Going into the lunch hour, the 18-wheeler and several of the cars involved in the crash were still at the scene. Officials said it would probably be several more hours before the roadway was cleared and the highway reopened. Fort Worth police reported that many drivers were going the wrong way on a southbound access road to avoid congestion. 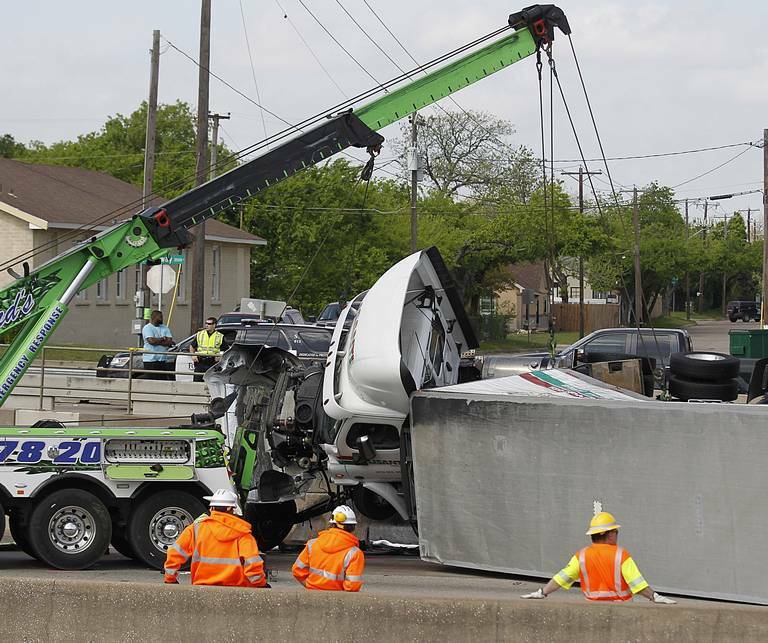 The semi, owned by Lisanti Foodservice of Texas, wound up overturned on top of several cars. One of the accident victims on the scene says he may know how the crash started. Catastrophic trucking accidents are not uncommon. Countless semi-trucks and 18-wheelers pass through North Texas each day transporting goods throughout the state, and sometimes the actions of reckless drivers can lead to tragedy. If you or a loved one is suffering from an injury sustained in a trucking accident, download a copy of Brad’s free book on Commercial Vehicle Collisions in Texas.